Every season I wait anxiously to see the latest Elizabeth Cole Collection. Designer Stephanie Owen never disappoints me. Her Minka Necklace is a personal favorite of mine. 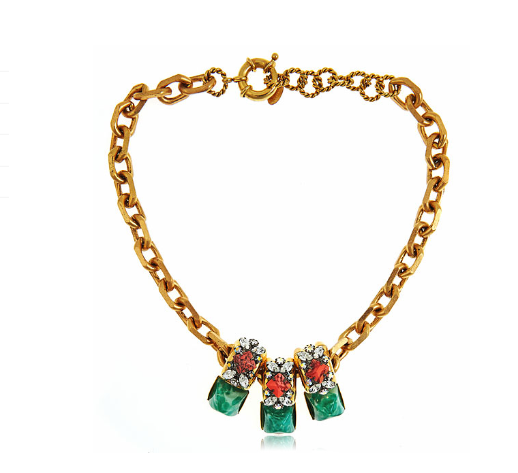 The combination of jade and coral stones set with Swarovski crystals is simply stunnig! It is versatile enough to wear with a simple tee and jeans or dressed up for a night out!